We have a whole separate sister-Website that is dedicated to letting you know what Isle of Wight events you can take part in, or add your own event for *free*. It’s bursting at the seams, including events from country fairs to award-winning music festivals, art exhibitions to jumble sales, historical talks and tours to beach cleans and thought-provoking lectures. In addition to that, below you’ll find the latest features highlighting the upcoming events here on the Island. The Royal Isle of Wight County Show is a fantastic showcase the very best of the Island’s rural economy from local food to gardening, craft and outdoor living. If you haven’t been for a few years, you’ll be surprised by how much it’s evolved. Don't miss the deadline to register for Walk the Wight and receive a pack, walker number and WtW t-shirt. After it was announced the main Pride event would not happen this year, the new Trustees have now announced it will go ahead. Details within. Go home with a spring in your step and a warm glow in your heart from this benefit concert raising money for orphans in Kenya. Isle of Wight Gothic Circus Festival: Two days and nights of mind bending fun! 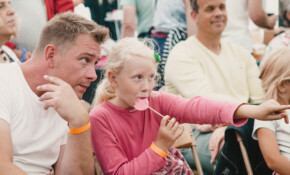 This family-run Isle of Wight festival offers two days of fun, with family-friendly circus shows, workshops, live music, mechanical monsters, knights with flaming swords, an over 18s burlesque cabaret show and more! Book now to avoid disappointment. 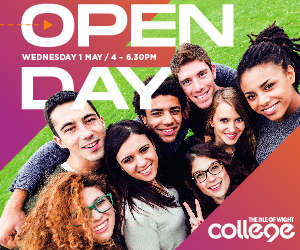 The Isle of Wight College has a proven track record of excellent success rates so why not head to their latest Open Evening to find out more about the courses and apprenticeships on offer and speak to tutors and career advisers. In their debut appearance on the Isle of Wight, The Queen’s ceremonial regiment will be putting on a spectacular mounted display, with lots of pomp and pageantry. Pay £25 to have your dog professionally photographed and £5 goes to Isle of Wight charity, Ability Dogs 4 Young People. The two concert event is being rescheduled for the autumn when both headline acts will perform on the same night. Why not pop along and see what a successful volunteer-run community library looks like on Easter Saturday? The £117,900 grant from The Henry Smith Charity will go towards three years' running costs of the SingAbout project.